Highlands Reserve is one of the most highly sought out golf communities in the Disney Area, with beautiful surroundings and a peaceful ambient very welcoming feel. 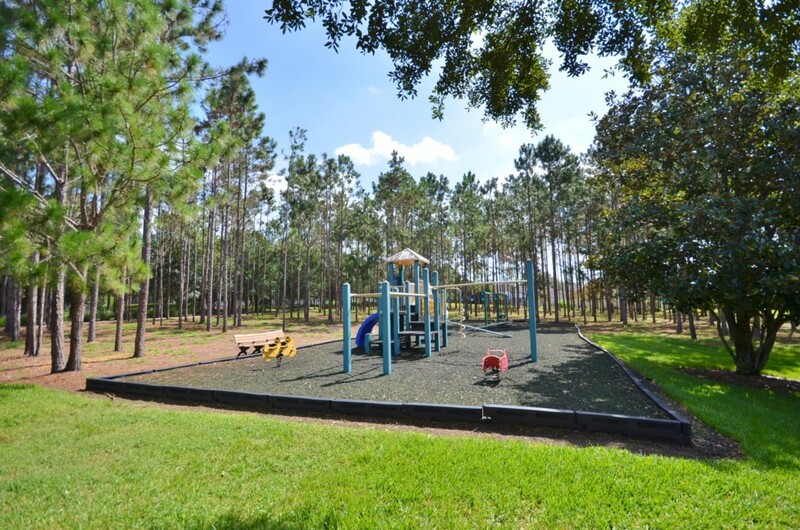 As you enter the development past the beautiful cascading waterfall and continue through the tree-lined community of orange groves it will be clear that this is a premier location. This fully air conditioned lovely bright practical and affordable home has a very elegant and contemporary theme, that is both comfortable and luxurious. The Lounge has a very modern theme with plenty of comfortable seating and views to the outside pool deck, perfect for keeping an eye on the younger ones enjoying the pool. With a large flat screen television this is a great place to unwind after a busy day in the parks, watch a good film or catch up with a game and perhaps plan the next day’s events in one of the many attractions that Florida has to offer. The Kitchen is fully equipped for you to prepare a large gourmet meal or a simple lunch and breakfast which can be served at the breakfast bar or the cosy breakfast nook. The Dining Area is ideal for more formal entertaining where you can enjoy the delights of a home cooked meal while catching up on the day’s events. The Pool Deck benefits from a stunning setting with views through the pine trees onto the golf course and beyond. 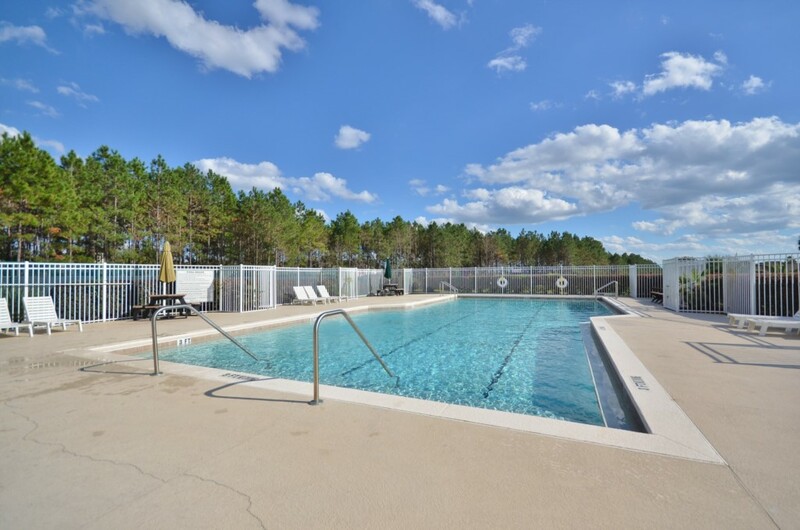 There is plenty of space for loungers to soak up the Floridian Sunshine or enjoy the oversized pool. The outside seating area is a great place to watch the local wild life, or indeed sample the delights of alfresco dining under the stars or even enjoy a simple chilled glass of something special. The Well-Appointed Bedrooms continue the elegant theme throughout the home and will offer a lovely retreat at the end of the day and with three bathrooms there are ample facilities for all your party. King Suite with Ensuite facilities of a garden tub with a large separate shower and dual basin unit. The King Size bed and Flat screen television is certainly very enticing if you fancy a little quiet time away from the rest of the party. Queen Bedroom (downstairs) is elegantly furnished and includes a flat screen television, perfect if a ball game coincides with a family film. The Ensuite facilities include a bath with shower and a single basin unit. Queen Bedroom, again traditionally furnished and includes a flat screen television for you to enjoy. Family Bathroom Includes a bath with shower and a double basin unit. Bunk Bedroom- with extra single bed, great for young friends or cousins to share and add to the excitement of the holiday. Bunk Bedroom- again with extra single bed, perfect to accommodate all the children, who will have lots of fun times with their friends.